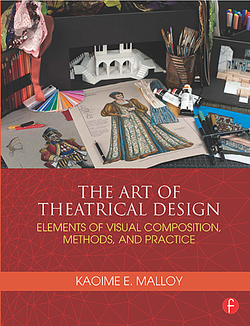 I'm proud to annouce the publication of my introductory theatrical design textbook, The Art of Theatrical Design: Elements of Visual Composition, Methods and Practice, released on October 3, 2014 by Focal Press. Reviews - [The Art of Theatrical Design]… is one of the best, most comprehensive looks at theatrical design that I have come across. It is a perfect book for a beginning designer; chock full of new terms, information, exercises, examples, and illustrations. Copies may be purchased directly from Focal Press, or on Amazon.com and Barnes and Noble.com.